In the this section there will be a display of a variety of basically translucent semi precious stone beads made out out of rock crystal, amethyst and garnet beads. 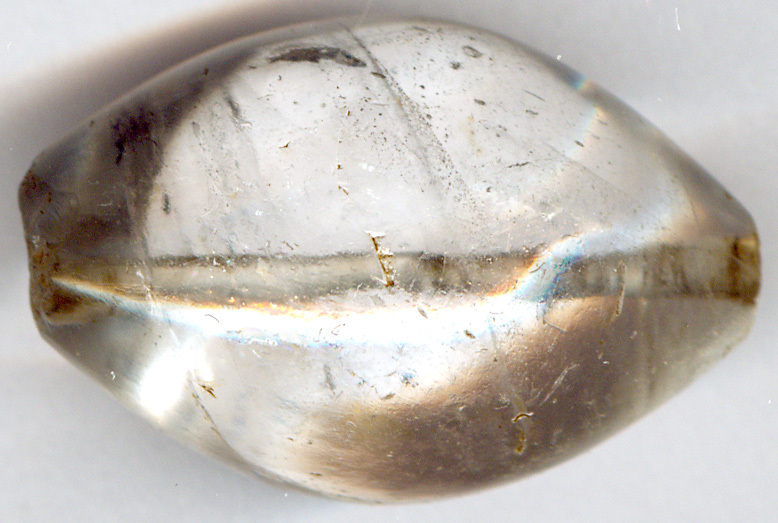 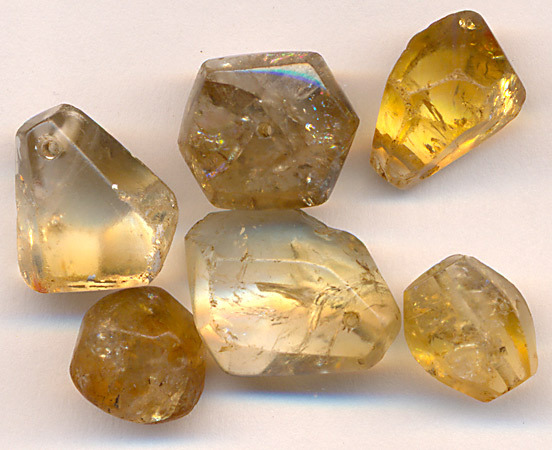 Rock crystal is the most common semi precious stone. 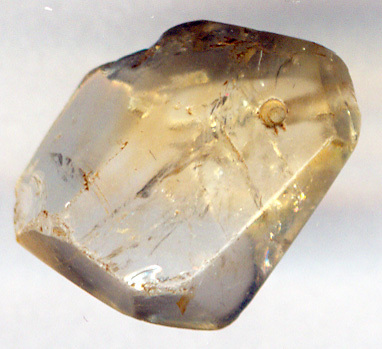 It has in its purest form hardness 7 on Mohr's scale. 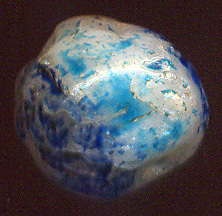 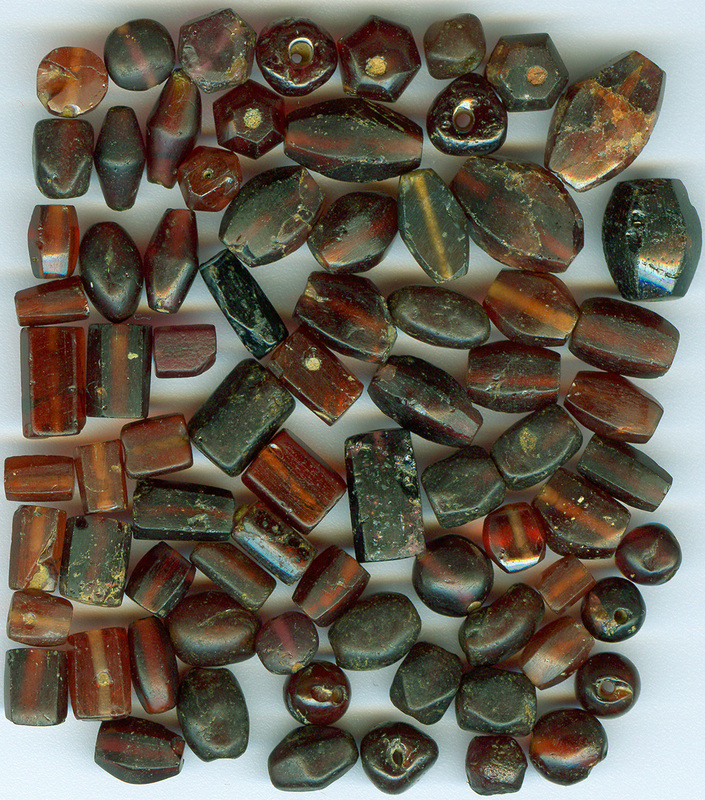 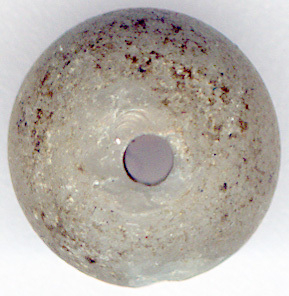 Along with agate crystal seems to have been extensively used in ancient India for bead making. 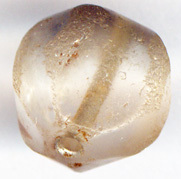 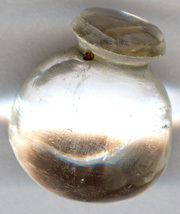 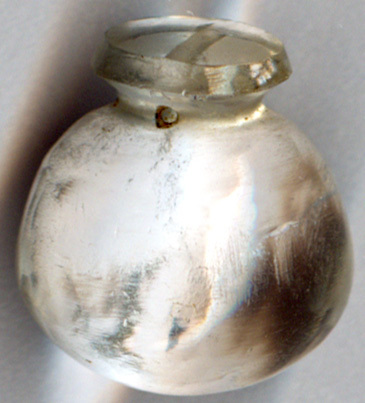 In spite of the fact that real transparent crystal was a scarce material, it seems that especially the Mauryan culture used it for a large number of items including beads. In the ancient Buddhist Indian stupas there has been found a lot of crystal beads in the burial caskets. 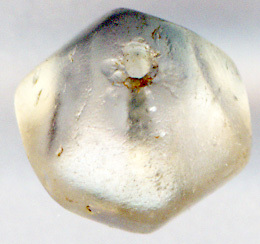 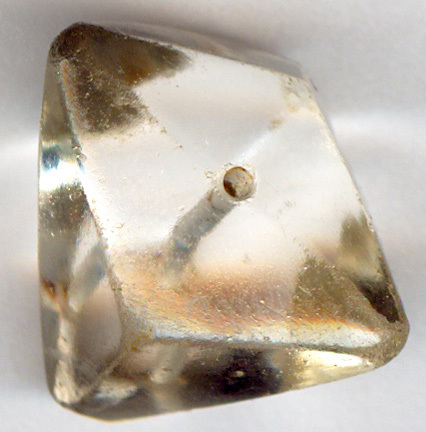 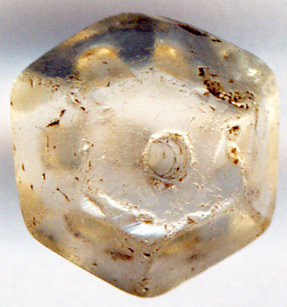 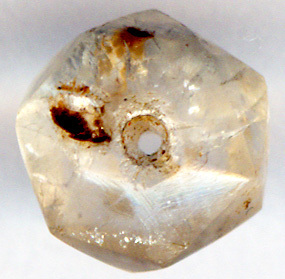 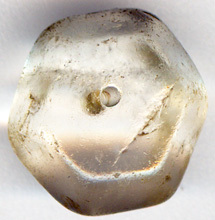 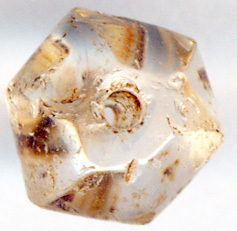 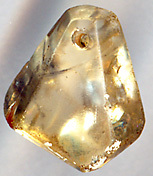 The Indian crystal was also due to its quality exported to the Roman Empire. 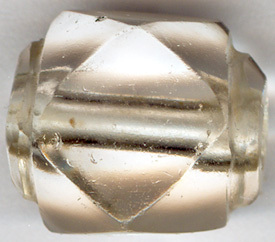 This is not a Bead. 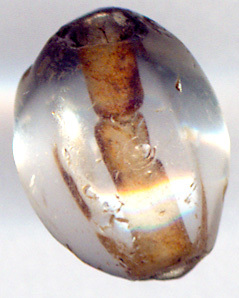 It is an ancient earring in crystal. 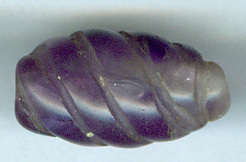 Amethyst beads became frequent from the Indian Classical Period and onwards. 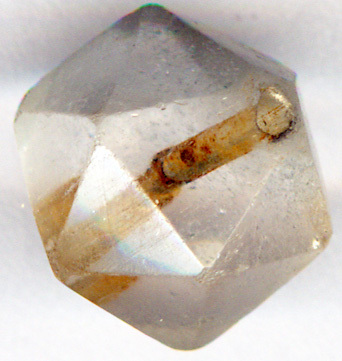 Apart from rock crystal, garnet is the the most common semi precious stone. 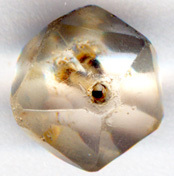 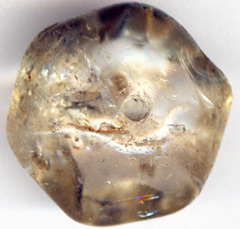 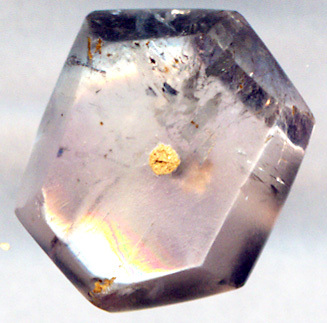 In contrast to rock crystal garnet is only found in small pieces. 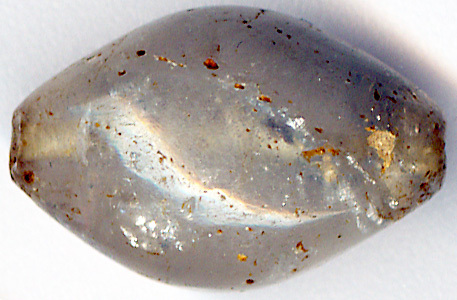 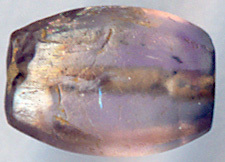 This is reflected in the size of the garnet beads displayed above. 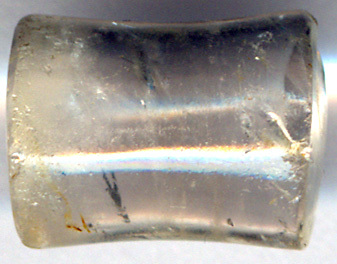 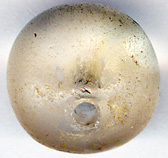 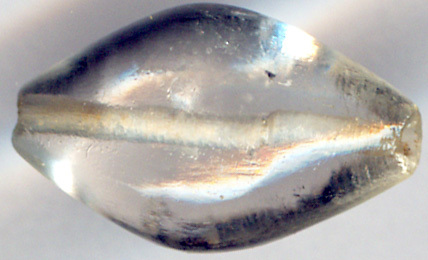 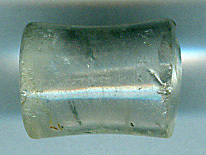 Crystal beads are often much larger in size. 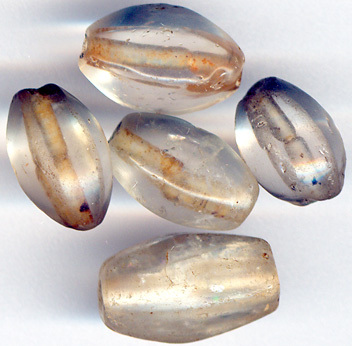 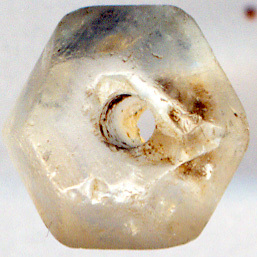 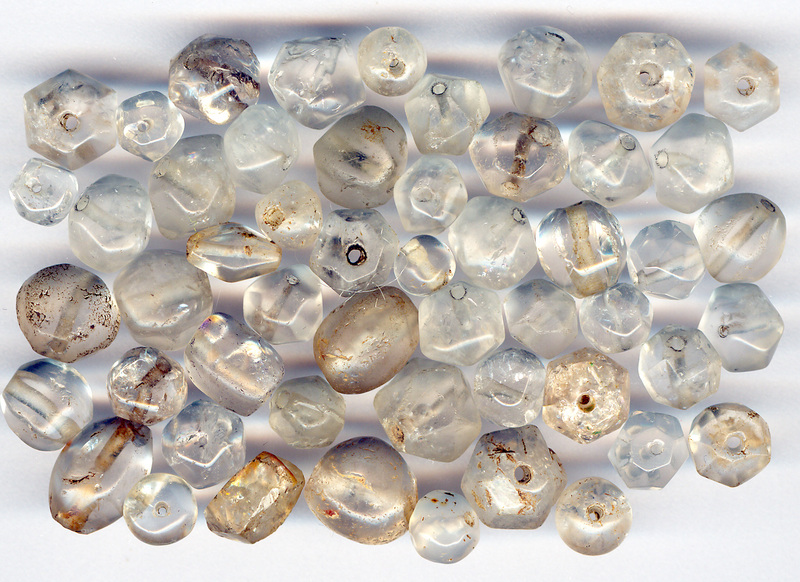 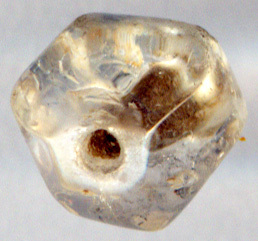 Garnet beads are not reported from the Indus Valley sites. 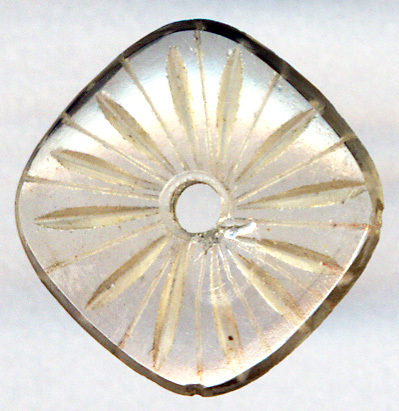 They first become fashion in the Buddhist period of Indian hitory. 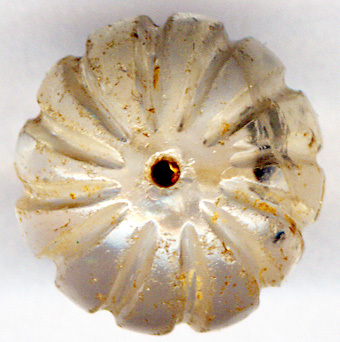 my guess would still be that they are Buddhist. 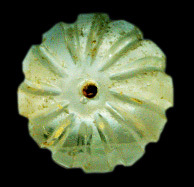 a symbol throughout the Roman period or Fahtimas hand. 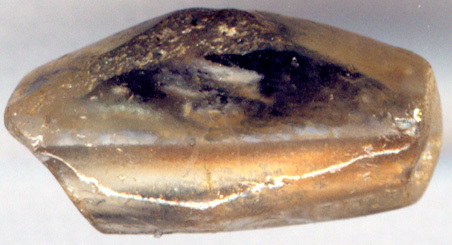 Before the greeks through Alexander the Great taught the Indians to sculpture God in human form, Buddha was depicted only by a hand or a foot. 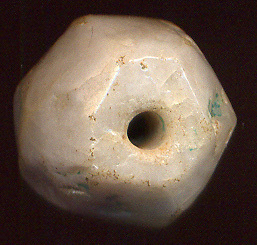 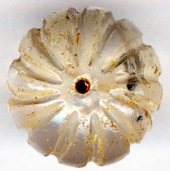 These beads were most probably Buddhist amlulets.